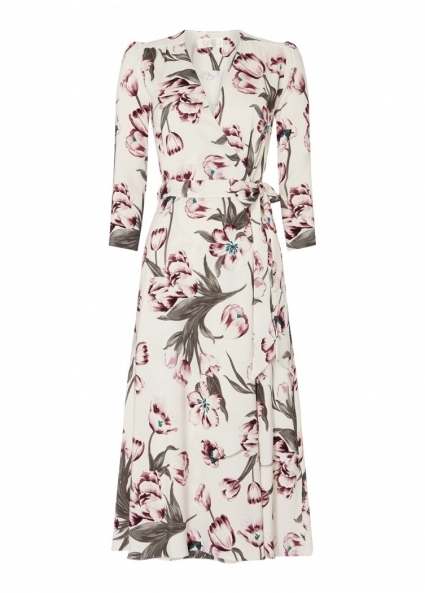 The Glenda wrap dress from Goat features a fresh and feminine tulip print, perfect for a variety of events over the Spring/Summer season. 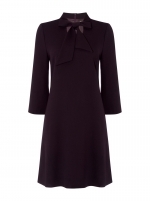 The fit and flare shaped dress is cut to a v neck and defined at the waist with an adjustable tie. Made from lightweight cady with a soft satin inside for added comfort and a clean drape, the dress has a pretty back yoke and shaped shoulders.